The Philadelphia 76ers look to extend their series lead against the Miami Heat tonight at home. 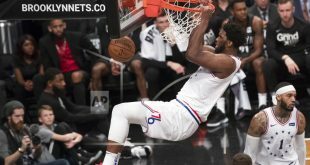 In their first playoff game since 2012, the Sixers turned down the Heat without All-Star center Joel Embiid Saturday night. The Sixers came out of the locker room at halftime with a four-point deficit and flipped the switch. 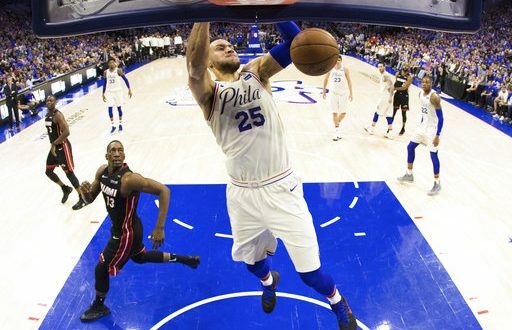 The Sixers jumped to a 15-0 run, finishing the third quarter outscoring the Heat 34-18 and eventually winning a 17th straight game. Miami scored 60 points in the first half, but their “turd quarter” trend came back to haunt them by failing to score points and playing subpar defense all around. 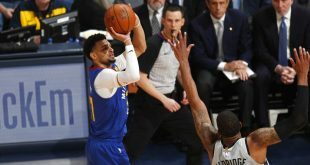 The Sixers shot 64 percent from behind the arc, setting a new team record for 3-pointers made at 18. Potential Rookie of the Year Ben Simmons had 17 points, 14 assists and nine rebounds in his playoff debut. Simmons was the facilitator, landing pin-point passes to his teammates on the court and nailing seven free throws. JJ Redick and Dario Saric led the starters in minutes and points, both playing 31 minutes and scoring a combined 48 points. Marco Belinelli and Erysan Illysova had great games off the bench, combining for 42 points. 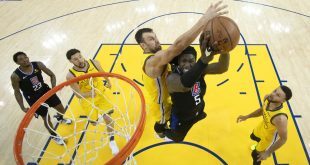 If the Sixers can continue the success in causing turnovers and scoring in transition, they will not have to prioritize winning on the boards or shooting nearly 50 percent from the field again. The Miami Heat starters, especially center Hassan Whiteside, were outshined by bench center Kelly Olynyk. Whiteside, who only played 12 minutes, was left behind by players cutting inside or spreading the court. Whiteside finished with six points and two rebounds. Olynyk’s efficiency on offense and defense was not enough since guard All-Star Goran Dragic shot 28 percent. Dragic was also too slow to defend a physically dominant Sixers team. This is what our Sunday in Philly looked like. The Sixers will be without Joel Embiid until at least the third game. This could benefit the Sixers because their defenders are capable of defending different types of players. 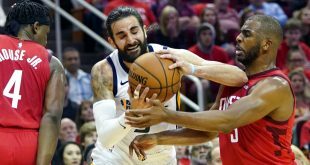 Therefore, Philadelphia can stop the Heat from becoming red-hot from behind the arc with shooters like Wayne Ellington who scored over 200 3-pointers off the bench in the regular season. Despite this, former first pick in the NBA Draft and Sixers guard Markelle Fultz says they will be better when Embiid returns. The Sixers young roster is clicking during the 17-game win streak. If the veterans on the Heat can force the Sixers to struggle shooting, then frustration could lead to mistakes and buckets for Miami. Although Dwyane Wade has a reduced role for the Heat, the Miami legend says the team needs to focus on every Sixers player. The second game will tipoff at 8 p.m. from the Wells Fargo Center. In five meetings this year (including the playoffs), the team hosting the game is undefeated. If Miami can head back to American Airlines Arena with a win, they could be in the driver’s seat.